Rotary International is a world-wide member organization, connecting leaders to exchange ideas and take action, in their local communities and around the world. Rotary started an initiative to end polio and has been successful in eliminating polio in 99.9% of the world as of 2016. 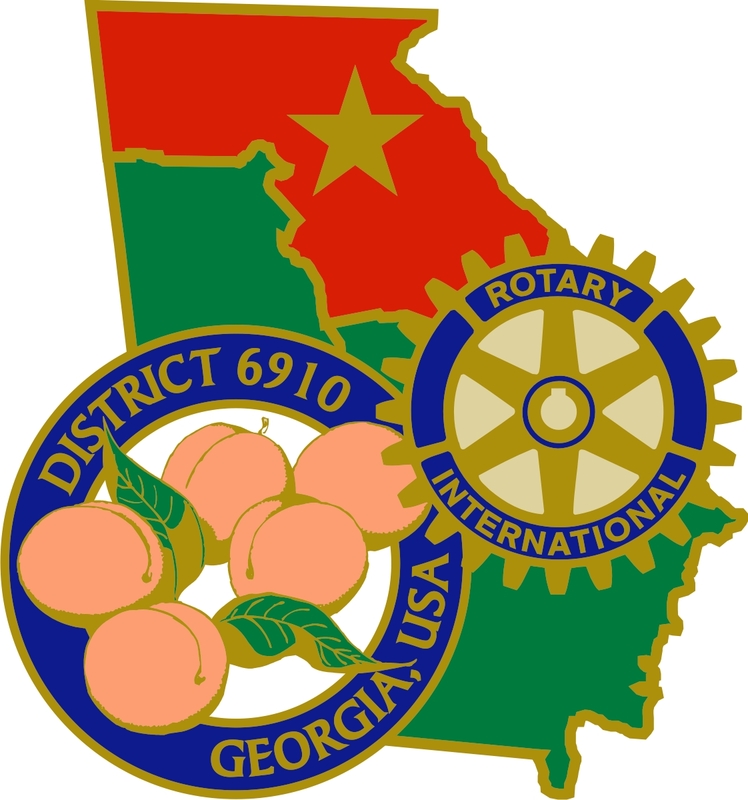 Rotary District 6910 is comprised of 73 clubs in North Georgia, USA. 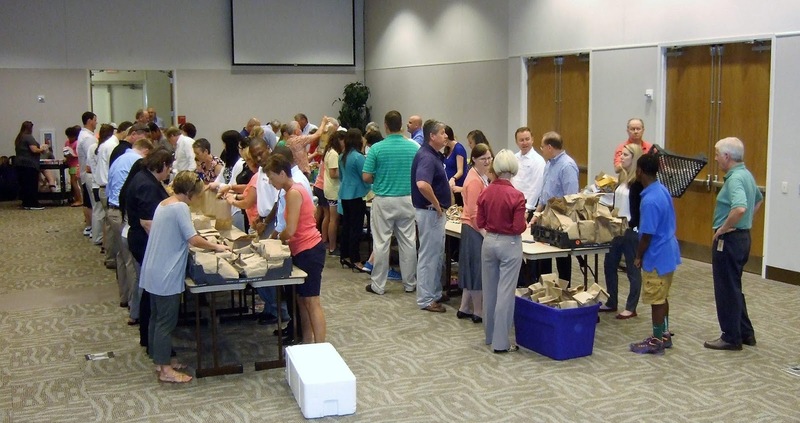 Answering a call to action, 80 Canton Rotarians, friends, family, and members of the community came together to make 2,500 lunches for the MUSTMinistries summer lunch program on June 14. 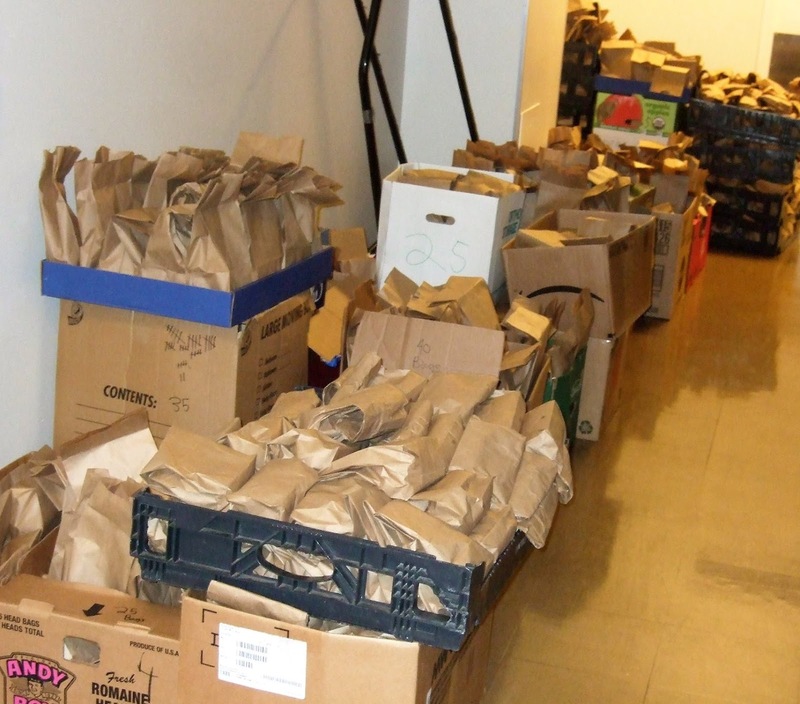 Ranging in age from 5 to 85, in just 75 minutes energetic and industrious members of the Canton Rotary Club, Cherokee Rotary Community Corps, Cherokee County YMCA, and other community organizations put together brown bag lunches for 1,000 Cherokee County children for 2 days or more. MUST Ministries' need for summer lunches is overwhelming and growing every year -- this summer MUST will make and deliver over 7,000 lunches every weekday for 10 weeks in 7 counties (Cherokee, Cobb, Douglas, Bartow, Pickens, North Fulton, and Gwinnett). In Cherokee County alone, 12,633 children are on free or reduced lunch in their schools during the school year. MUST Ministries helps feed these children lunch throughout the summer. the children of their community by preparing thousands of lunches. The abundant fruits of their labor, and a job well done! The Rotary Club of Canton had so much fun making 2,500 summer lunches in 72 minutes, we've been challenged to make 5,000 summer lunches in one session next June! Madison County Rotary Club's "Over 80 Crew"